Here we have a nice early – probable World War era cap badge to an enlisted man in the North Irish Horse. The badge is accompanied by two early N.I.H buttons – very unusual Toronto maker on the smaller button reverse. 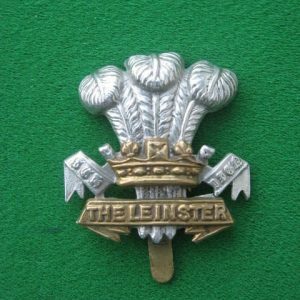 The North Irish Horse cap badge is die struck from brass. It has a King’s crown, so the piece dates after 1908 but before 1953. 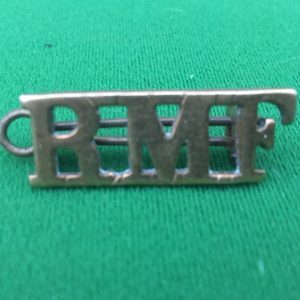 However, the slider has a typical style that is only seen on early cap badges, the slider is curved back along the reverse of the cap badge for a distance of 6/7mms. 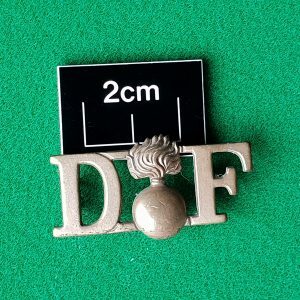 This is sypical of the way sliders were attached on some cap badges during the early 20th century. 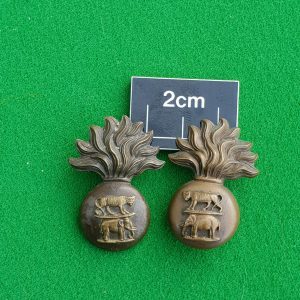 The brass cap badge is accompanied with two North Irish Horse other ranks buttons from the same era. The larger of the two buttons measures 24mms in diameter, the smaller button measures 19mms in diameter. Both buttons are made of brass and both have a King’s crown. The smaller button is maker marked “H.Rosenthal Toronto” !! A most unusual maker/retailer for an Irish button.